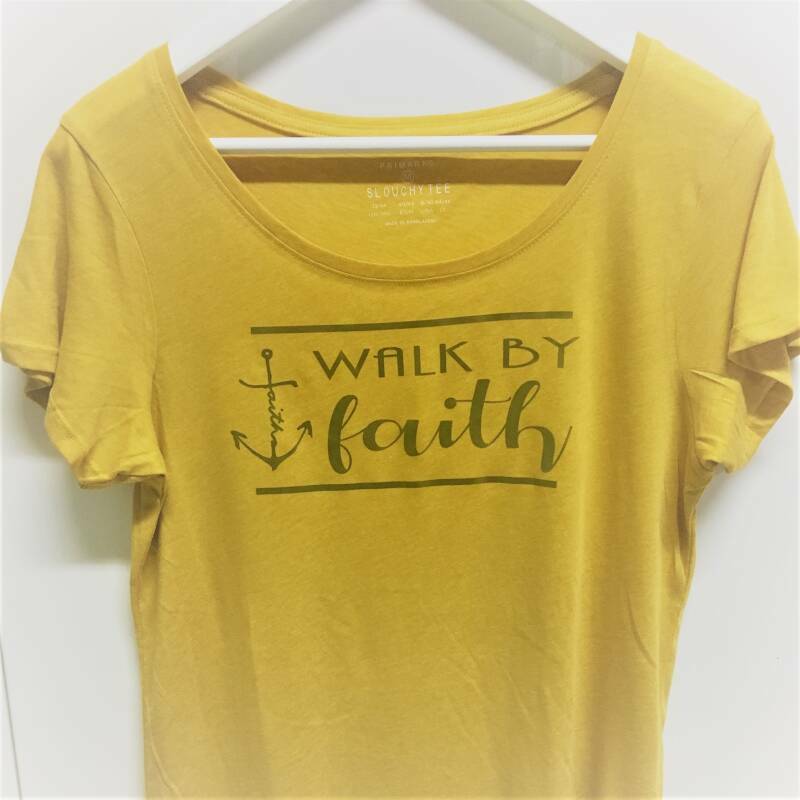 Need a fashionable conversation starter? 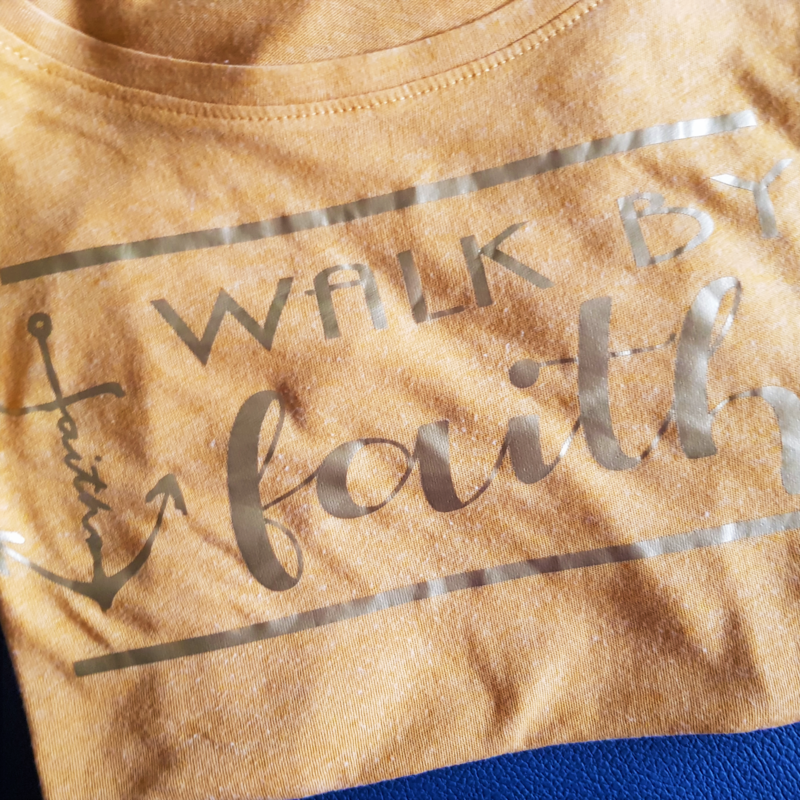 Don't only walk in faith, but wear it too! 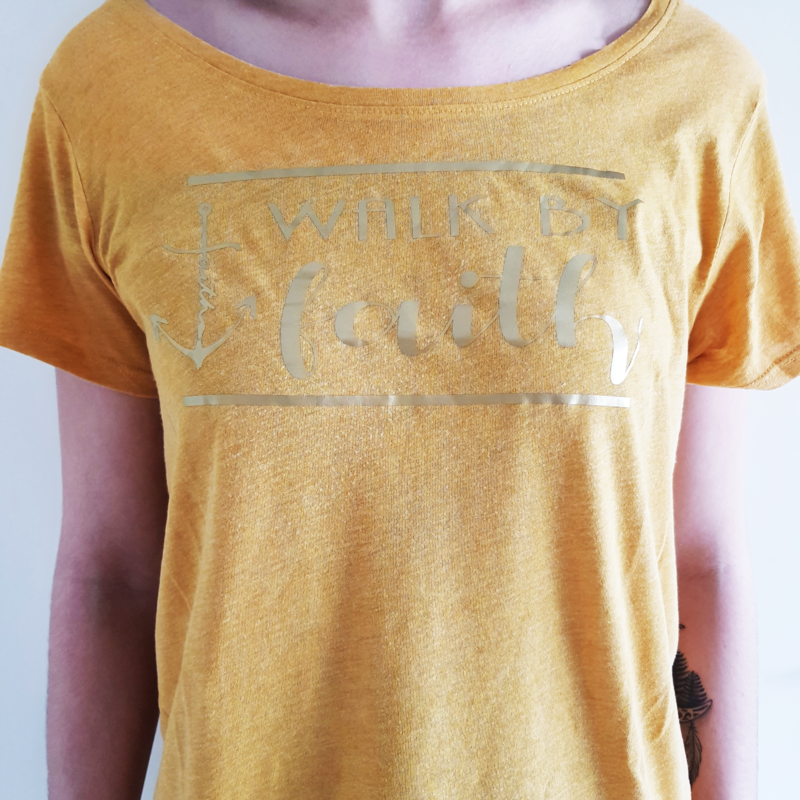 This shirt itself comes from the Primark and we printed it with gold.